Media Pa home tune up. 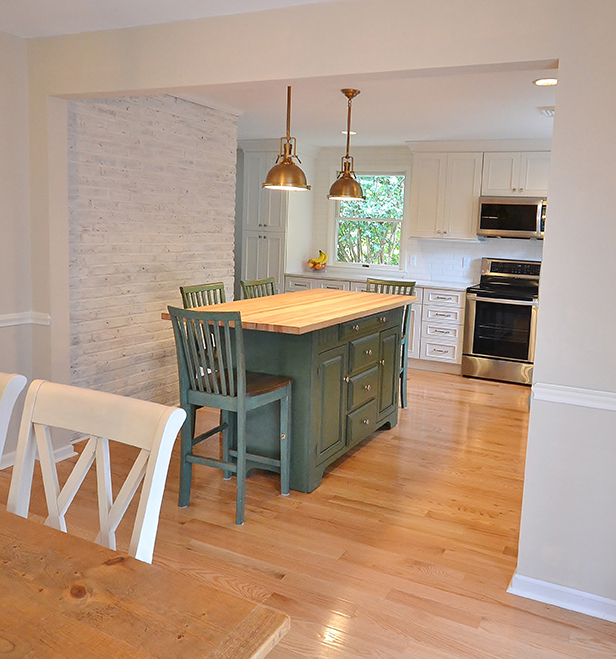 These clients bought this home and wanted to spruce up the place before they moved in. 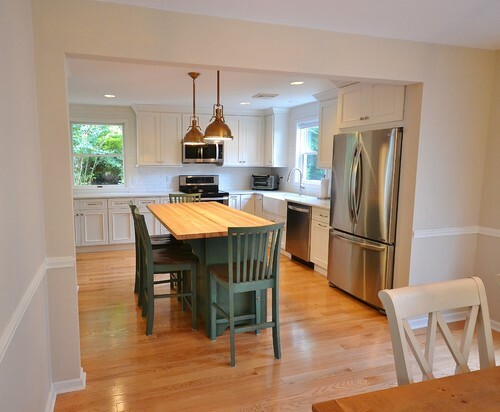 We removed the original kitchen and most of the first floor’s original flooring. 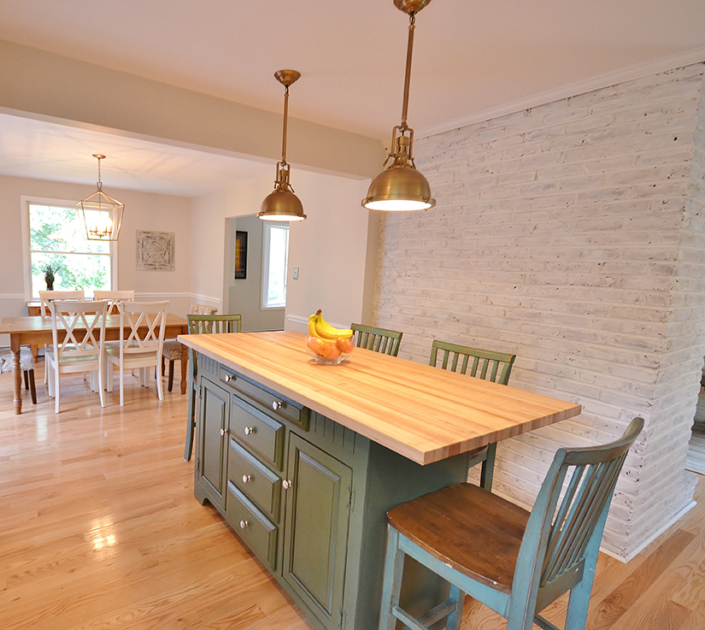 We widened the opening in between the kitchen and dining area for a more open feel. 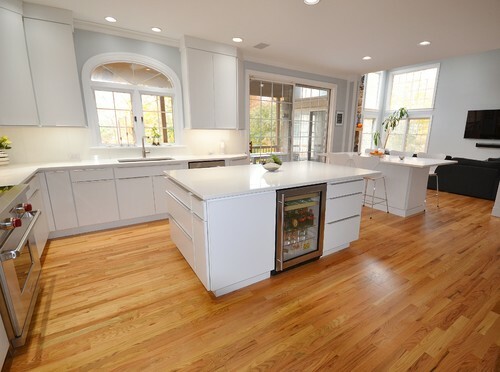 New Bruce natural oak hardwood floors were installed throughout the first floor. 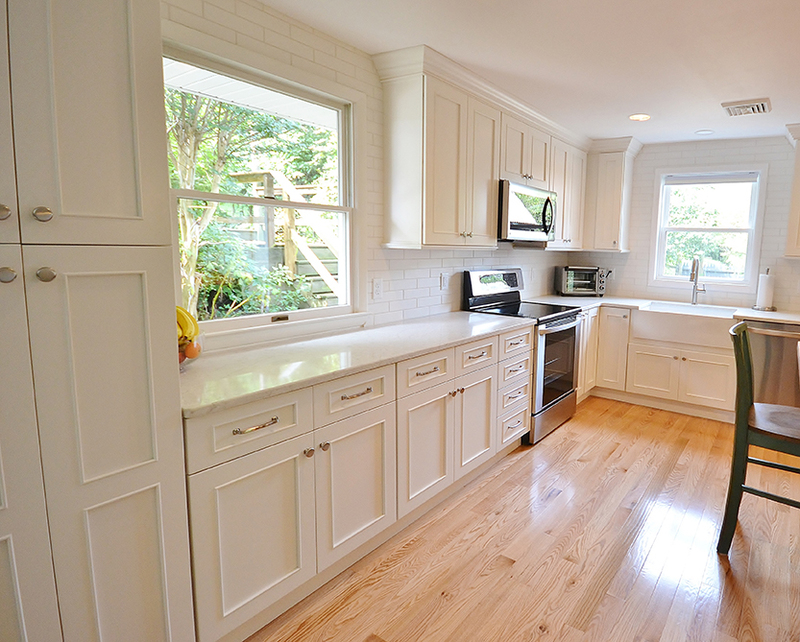 The kitchen was redesigned using Fabuwood cabinetry in the Vista Blanc door style for the perimeter and a custom painted island. The MSI quartz countertops in Carrera Caldia compliment the new tile backsplash; keeping everything looking clean and bright. What a new look! 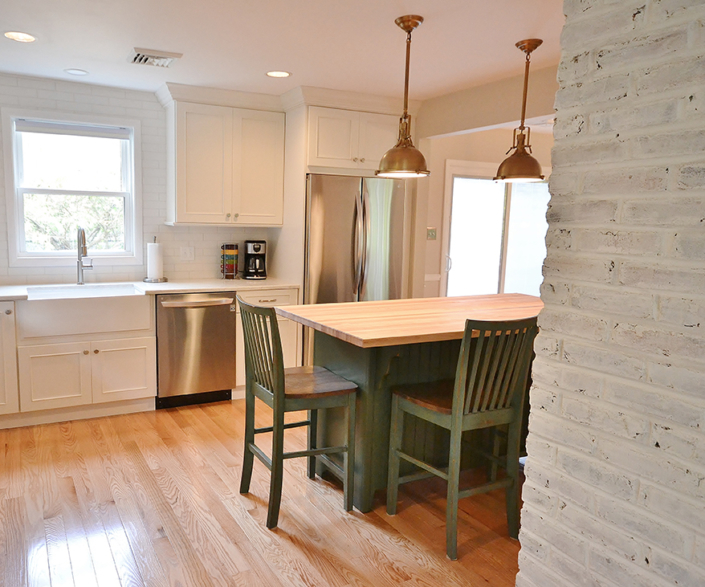 All the tones and styling of this new kitchen from flooring to the painted brick walls come together to make a great looking new space.